This Thursday we shall be trying something a bit different. We would like the children to come to school dressed to represent a word, specifically an adjective. An example of this could be the word 'sporty' where the children could come dressed in their favourite sports kit, 'grumpy' where they could wear dark clothes and a sad expression, 'happy' where they could wear clothes with bright colours or 'sleepy' where they could come to school in their pyjamas. The possibilities are endless! Your child should be aware of their adjective so that they can share it with the class. If you want to write this down for them so that they can bring it to school, this would be very helpful. Throughout the day the children will be able to guess each other's adjectives and can then use these exciting describing words in their own stories, illustrate them and read them to each other at the end of the day. We are challenging the children to read as much as possible on World Book Day to raise money for Jewell Academy to spend on books for our School and to buy books for the Children’s Wards in local hospitals. If you would like to sponsor me then please complete the form (sent home in your child’s bookbag or availble here.) You can either pledge by total amount or by amount for each 5 minute session that is completed. 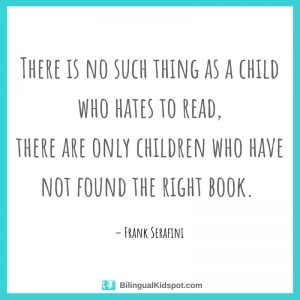 We would like each child to recommend a book to another child. This should be a book that your child has either read independently or shared with a friend or adult. We are asking all children to design and draw the cover of a well loved book. This should be on a piece of A4 card or stiff paper. On the front we'd see the book cover drawn in bright colours using, pen, paint or digital art. On the back of the paper we would like to see an advert to persuade people to buy and read the chosen book. This should really convince us all that the book is worth reading! We hope to display their recommendations around the school and we are really looking forward to discovering which books the children love to read at home. If you have any questions, please ask your teacher who will be happy to help. This Home Learning is due in on Monday March 25th. We shall have a poet coming in on the Monday, visits to the Library, book character dressing up and hot chocolate stories on the Friday 29th March as well as our Book themed door design competition - fun, fun, fun! We have an exciting competition for all children to participate in. More information can be found here. If your child is in Reception, Year 1 or 2, the assembly can be found here. For Years 3-6, the assembly can be found here. Prizes will be awarded in assembly on Friday 23rd November. We were made aware of this information sent as part of School Watch for your awareness. At approximately 1650 hours on Thursday 25th January 2 males in a white van were driving past Winton Primary School in Oswald Road Bournemouth, trying to tempt children into the van. No further details are known at this time. At 3.30pm on Thursday 25th January 2018 – Suspicious Circumstances - report that whilst an 11 year old student was walking home and outside Somerford Primary School, he noticed two males in a white van waving and shouting "hello" towards him. They then said "you alright mate?". The student ignored the males and they drove off. The description was that both males were white with the driver being in his mid-30’s and had dark hair. This incident occurred at 1700 hours on Wednesday 31st January outside of St Michaels School Colehill Wimborne. A small silver car slowed down on the opposite side of the road to where two 11 year old girls were stood. The driver of the car was a male only described as being bald he shouted out of his window “your taxi’s here” and then drove off. The vehicle did not stop and the male did not approach the girls.